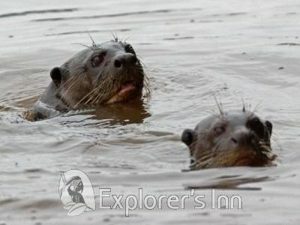 During this exclusive Amazon tour you will stay in the well known Explore’s Inn Lodge. 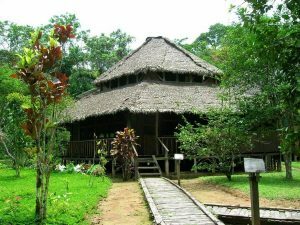 This lodge is owned by Peruvian Safaris, the first travel agent who received in 1977 permission to explore Eco tourism in the Tambopata Reserve. This Amazon Reserve cover around 274,690-hectare and belongs to one of the most biodiverse natural areas in the world! In the Tambopata Amazon Reserve you find the meeting point of three distinct biomes: lowland tropical rainforest, cloudforest and humid tropical savannah and extensive palm swamps. 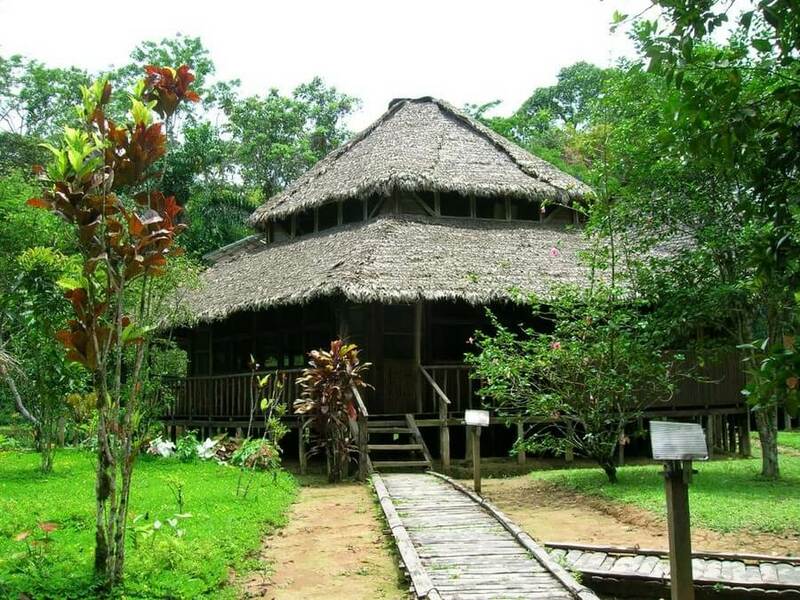 The Tambopata Reserve holds numerous biodiversity world records and the Explorer’s Inn Lodge is even mentioned in the famous Guinness Record Book,. They gained this place because members from the lodge managed to classify 601 different bird species, 1237 butterfly species and more! 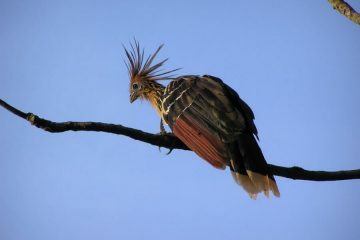 The Tambopata Amazon Reserve in Peru provides great opportunities to observe Amazonian wildlife up, close and personal. 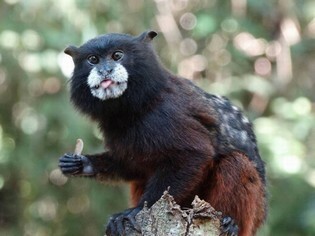 Whether you are a research scientist or simply want to experience tropical rainforest for the first time, this tour offers a great opportunity! 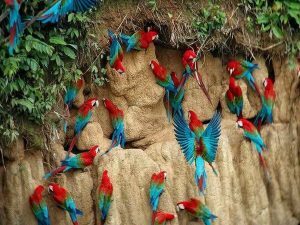 Especially for birdwatchers this tour combination of camping at the Chuncho Clay Lick and lodging in the Explorer’s Inn is one of the best tour options in the Tambopata Amazon Reserve. 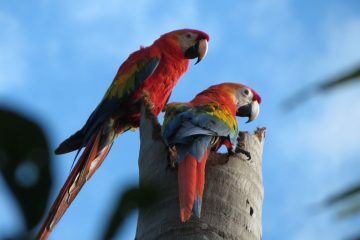 Visit us and wake to the roars of howler monkeys and the numerous melodies of the resident caciques that nest in the palms beside the bungalows. Spend the night in a tent and fall asleep while listening to the nightlife of the Amazon! 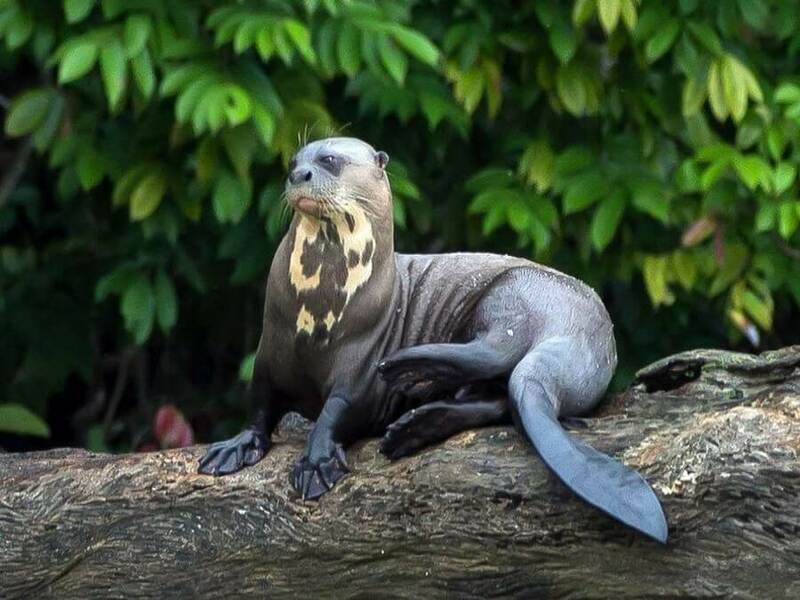 During the day you will be walking jungle trails and paddling across oxbow lakes as tiny saddleback tamarin monkeys leap through the forest canopy, and precocious giant river otters fish for their breakfastand black caimans bask by the banks. 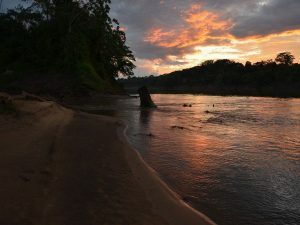 Relax and watch the sun set over the swirling waters of the Tambopata River as brightly-colored macaws and oropendolas fly overhead on route to their roosting sites. Note: LUGGAGE.- Due to limited space in our dugout canoes, is only one (1) medium size handbag or rucksack allowed per passenger. The excess baggage can be left in our Puerto Maldonado office. Reception at the airport and transfer to the dock located in the native community of Infierno from where we board our canoe and start a one-and-a-half hour journey to the Explorer`s Inn. 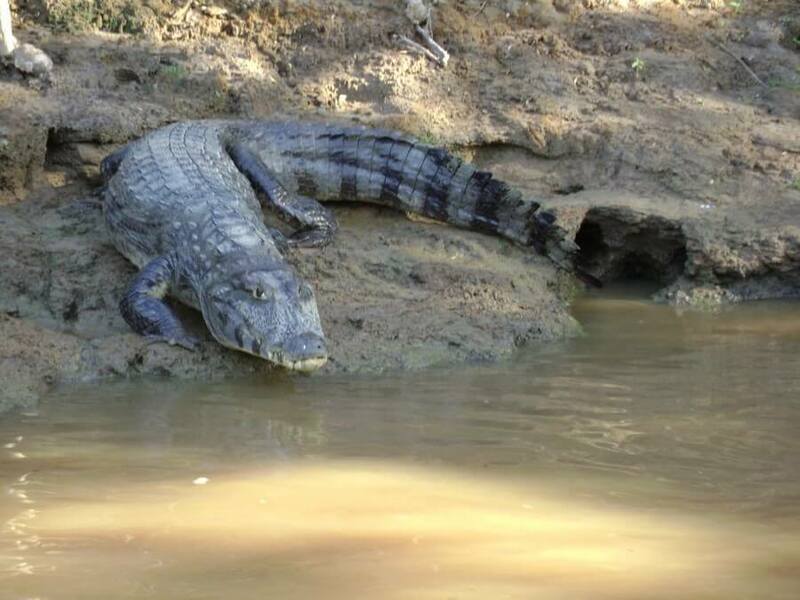 During the trip we have a box lunch on board and may see caimans, turtles and capybaras, among other animals. We are received at the Inn with a welcome drink. After resting, we take a short night-hike to see nocturnal rainforest animals. Back at the lodge we have dinner with our guide and some of the Resident Naturalists who are available to answer questions or brief us about the Amazon rainforest, the great variation of wildlife and the Tambopata National Reserve. Breakfast at 7:30 am and time to prepare for our long, but amazing journey. We depart at 9:30 am to navigate the rivers in the direction of the famous Chuncho Clay Lick. This clay lick is one of the most spectacular natural phenomena in the Amazon Rainforest. Our journey on the Tambopata River takes around four hours of navigating. Along the way we wil stop at the Malinowski Checkpoint, the official control point for the protected area of the Tambopata Reserve. Our lunch will be a picnic on the shores of the Tambopata River. After arriving on our camsite for tonight we will set up camp and relax. Then it is time to explore the surrounding of our campsite and maybe cool off in the river and enjoy sunset in the jungle. When it’s dark it is time for dinner at our campsite. After dinner we shortly explore the surrounding of our camp in search of nocturnal wildlife. We wake up as early as 5:00 a.m.and navigate in 10 to 15 minutes to our observation point at 200 m from the Chuncho clay Lick. 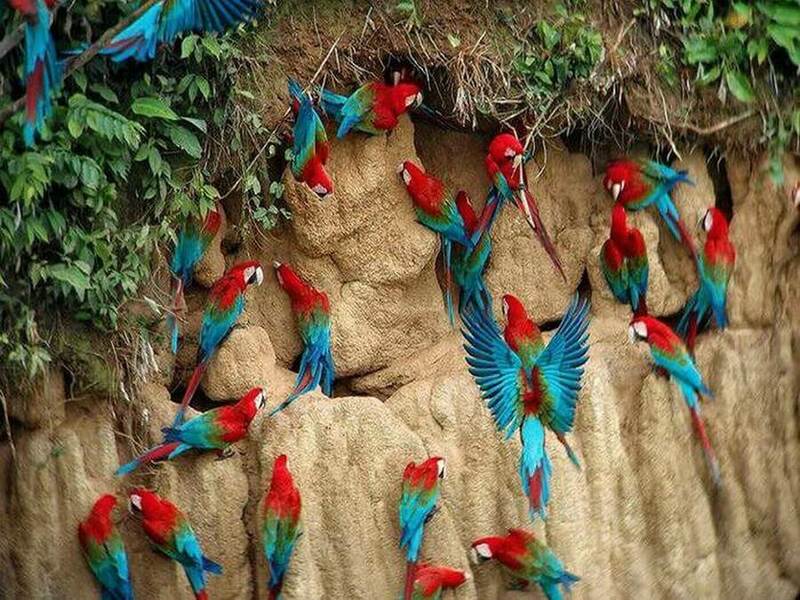 It is an incredable, unique and colorfull spectacle to observe the birds waking up at this mineral rich clay lick! 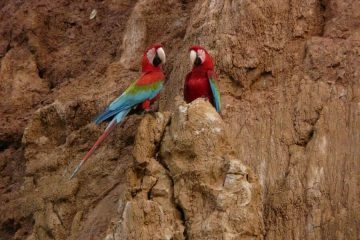 Birds we are likely to observe include the Bolivian macaws, chirricles, blue-headed parrots, auroras, Huacamayos scarlets, red and green Macaws, Chestnut fronted Macaws, Parakeets dusky heads! Around 8:00 am we return back to our camp. After breakfast we make a short survey around our camp area and then it is time to return to the Explorer’s Inn lodge. You will navigate 2/ 3 hours downstream in a long wooden canoe. Depending on the water conditions it will be a late lunch in the lodge. Time to relax a bit and around 15:30h we make a short walk to Laguna Chica for more Bird watching and enjoying the beautiful natural surrounding! Return to the lodge and time for Sunset watching and dinner. Short night walk – in search of the many creatures such as insects and hopefully bigger animals! We rise early and walk with our guide approximately three-and-a-half miles to see the giant otters at Cocococha oxbow lake. 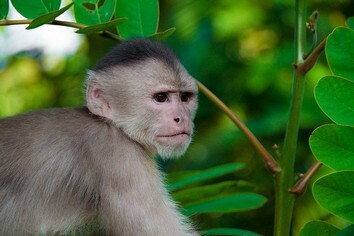 On the way we observe plants, insects, butterflies, birds, monkeys and, if we are lucky, possibly larger mammals. At the lake we occupy a strategic hiding place and wait for the otters. Afterwards we take a short canoe ride around the lake watching the wildlife on the shoreline. Back at the lodge we have a late lunch and in the afternoon you can either rest or visit our neighbors from the local La Torre community. They will teach us more about their live in the Amazon. At dusk we take a brief walk to Sunset Point to watch night fall in the Amazon. We then board the canoes again to look for caimans with our torches. The exact day of this excusion depends also on the weather. – A luxury overnight bus to Puerto Maldonado and back to Cusco. We can reserve this for 55 à 75 US$ p.p. return, depending on level of comfort. • Clothing: Guests should arrive to Puerto Maldonado duly dressed for the trip and they should not start getting dressed at our office, what has also been a cause for delays and annoyance to the other passengers. It is also necessary to remind them to bring some warm clothing for chilly nights and mornings which are not frequent even in the Amazon rainforest. • Boats to and from the Explorer’s Inn: Normally the airline’s flights to and from Puerto Maldonado do not arrive and depart with much time difference , guests should be clearly informed that, as not being our services private, only one boat a day will do the trip to the lodge either way. Because of this they cannot claim that Peruvian Safaris provides an extra boat if, for any reason, one of the flights is delayed and they have to wait in town until the second flight arrives or, if they have to get up and leave the lodge earlier than necessary to take their return flight.